Here's the description - due to ship May 3rd‚ Pre-order here. Colorado has been fertile Grateful Dead Territory since the band's first foray at the short- lived Denver Family Dog in 1967‚ and by the time 1973 rolled around‚ the group had built a large and loyal following there the old-fashioned way-by playing killer shows! And you'll have a high time getting lost in the majesty and mystery of Road Trips Vol. 4‚ No. 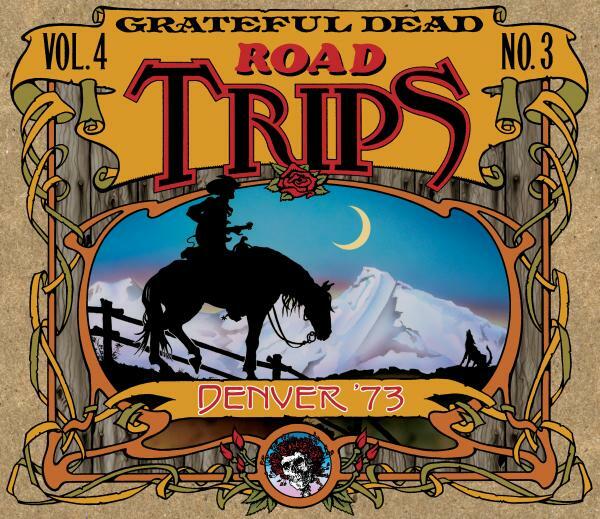 3‚ which consists of the entire November 21‚ 1973 concert at the Denver Coliseum spread across two-and-a-half discs‚ and then an excellent sequence of tunes from the second set of the previous night's Denver show. Includes CD booklet containing an essay about the show and period photos. All songs have been mastered to HDCD specs for maximum punch and clarity.